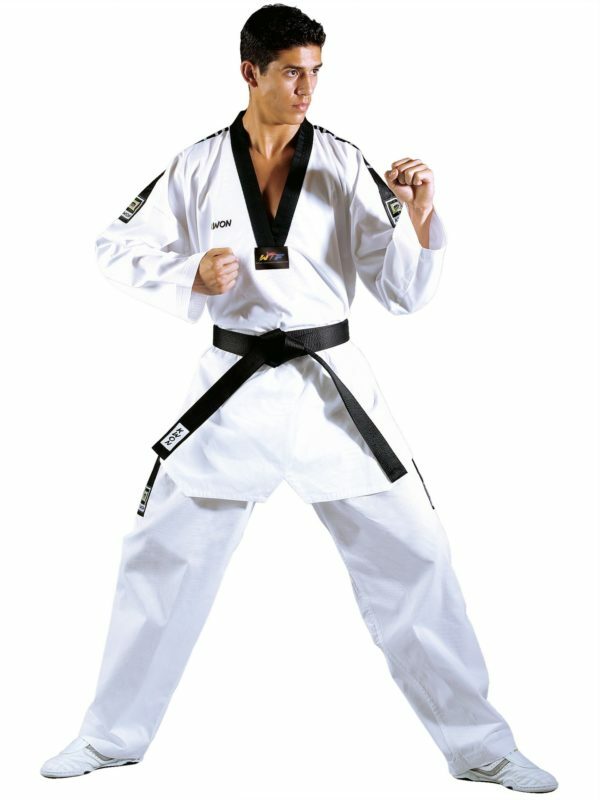 The very high quality and proven Taekwondo suit Grand Victory in white with black lapels, shoulder straps and back embroidery “Taekwondo” in German / Korean is suitable for training and competition. 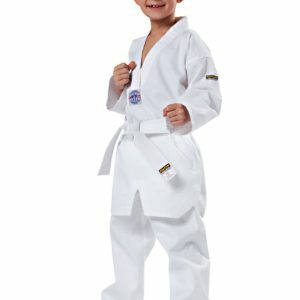 The Victory suit is available in many other variations. The cut of the jacket long and wide. The long, wide pants with elastic waistband runs down to close. 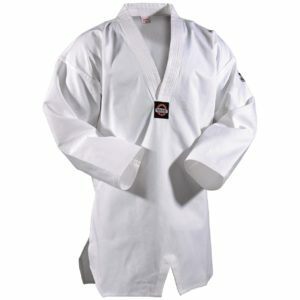 The TKD suit with rib-like fabric structure is made of light, soft blended fabric (55% cotton / 45% polyester). woven KWON lettering logos in various places, “action wear” embroidery on the bottom right of the jacket, “touch the spirit” embroidery on the back of the jacket. 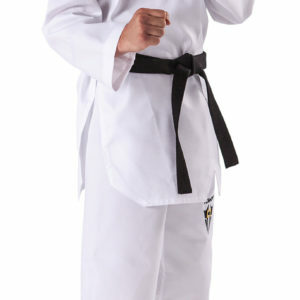 All suits of the “Victory” series are recognizable by the black / red “Taekwondo Approved” breast logo!